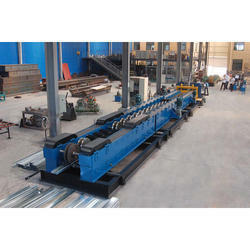 Cable Tray Roll Forming Machine has light duty and heavy duty type machine. And it also has linear sizes and fixed sizes, with punching and without punching. we are offering you to cable tray machine that comprise of effecient punbhing press, hydraulic press, Electric control panel and many other equpiment. which makes it an ideal option for many options. The cable tray rollforming machine can manufacture both superiour and inferiour cable trays in les time. Linear cable tray roll forming machine can help make various sizes changing by linear moving automatic. you do not need to adjust the spacer by hand. Looking for Cable Tray Roll Forming Machine ?